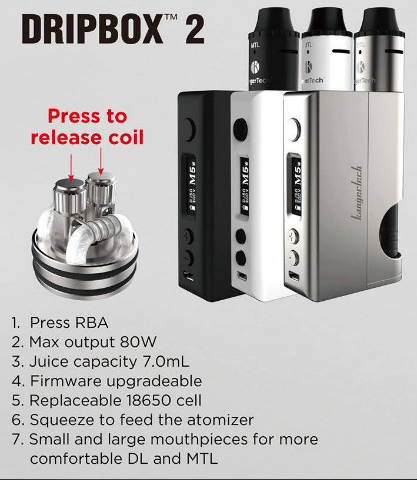 Subdrip must use together with Dripbox 2 or Dripmod battery since it has the juice delivery channel, using other types of mod may cause the juice flows down to the battery and ruin your mod. 1. 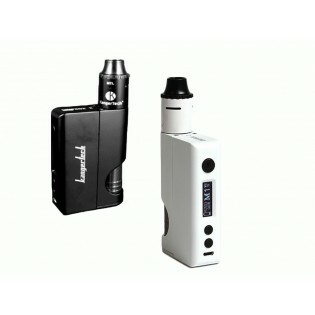 Short circuit protection, LCD flashes and displays "Low ATOMIZER" or "ATOMIZER SHORT"
2. Atomizer open circuit, LCD flashed and displays "Check Atomizer"
3. 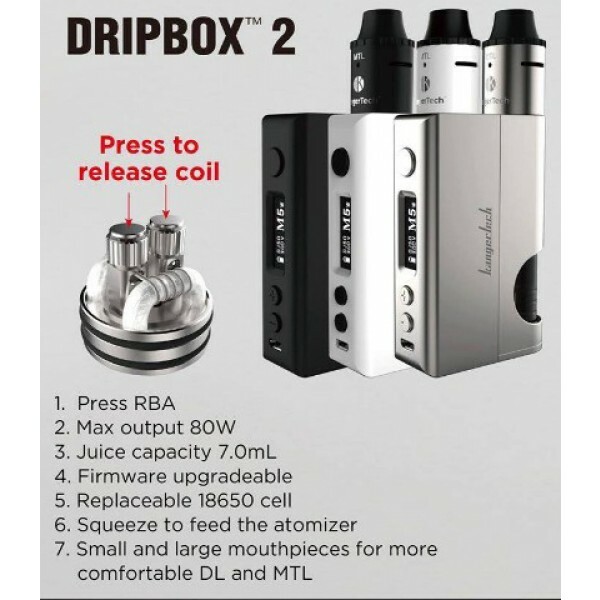 Cell reverse protection, no power output when cell reversely installed. 4. PCB over temperature protection, and battery stops functioning and LCD displays "TEMP HIGH". 5. 10 seconds over use usage protection, no power output and LCD displays "TIME OUT". 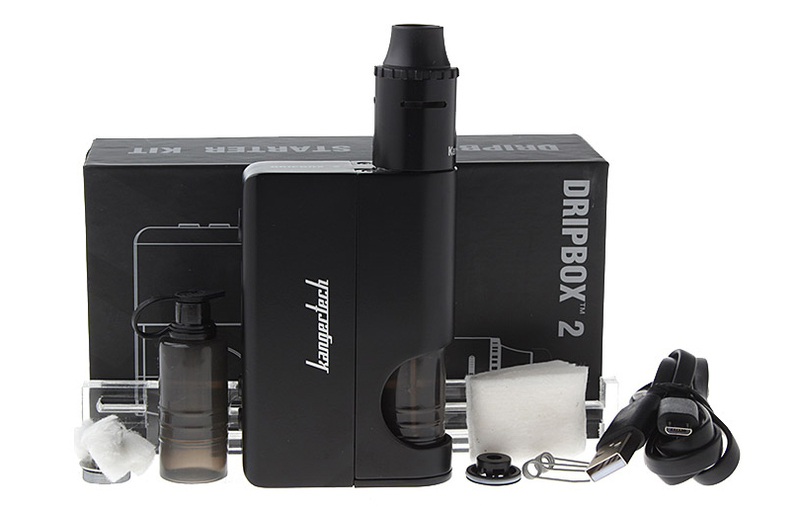 Vaping time can setting in 3-20s through program settings. 6. Cell capacity protection, when cell capacity is too low, and displays "Check Battery" or "LOW POWER". 1. Download the driver software. 2. Connect your device to your PC. The Driver will detect your device automatically. 3. Enter function interface, you can customize the coefficient that best fits you. 4. If it failed during the updating progress please reconnect your device to PC. M1-M5: Reset can change resistance temperature, vaping time. TC: Adjust the resistance coefficient.